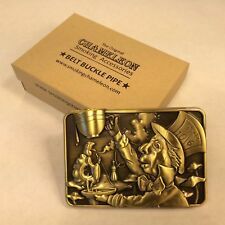 This is a quality Belt Buckle with The Mad Hatter on the front and a pipe on the back. These buckles make a great gift! The buckles are very well made and available in an Antique Brass finish. Vintage Handmade 38 Special Belt Buckle Crome Nickle . Shipped with USPS First Class Package. Item is used unless specified new. Item came from local estate sale as most of my items do. Item is in excellent condition for age. So bid today and thanks from Lerch54! THE FRONT INSIDE LIP READS: "IN ITALY" ON IT,AND UNDER THE LATCH IT READS "28". THERE IS A SMALL INSIDE VELVET POCKET,AND THE DORIAN CONTINENTAL LABEL IN BROWN AND GOLD. SEE PICS. THE LENGTH IS 6" THE DEPTH IS 3". Take a step back in time with this remarkably clean (presumably unused) purse! This is an absolutely beautiful hand bag with adjustable strap. Vintage Hand Made Alligator Handbag Purse Made In Cuba 1950’s. Shipped with USPS Priority Mail. Will not disappoint! Truly a unique and fun piece! Lined with new blue/white striped fabric and includes one bi-fold pocket - see photos for. is 15.5" and the handle is 13" (just one-half of the handle - 26" total). The bag is. Victorian Hand Tooled Leather Purse/Handbag. Twist clasp works well. Strap is missing. Back has a K and EMB under it. The bead work on this bag is in very good condition. Item listed is exactly as pictured and nothing else is included. I try to make everybody’s experience a pleasant one, and ask only that I be given the chance to do so. This is a beautiful, lovingly-embroidered hand-made purse. 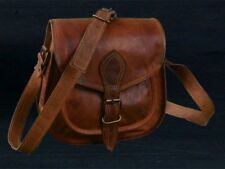 The bag is 7" wide and 6" tall and in very good condition. The interior is has a silk lining with the label "Made in France by Hand, Walborg, There is a small stain on the interior. Wonderful buckle ready for wear or display. Fully functional condition with any sign of age or wear as pictured. Measures: 3.27" (w) x 3.06" (h) Max. Belt Width: 1.71" Additional information can be found in the "Item Specifics / About This Item" located above description. Buy more and SAVE! Click on the "Add to cart" button to get FREE combined shipping on multiple item orders! Ships fast and fully insured. Will be professionally packaged in a strong box to ensure safe arrival. Vintage belt buckles make unique and treasured gifts! Please review photos and item specifics as they are a part of the description. Small Cobalt Blue Black Glass Beaded Bag . Shipped with USPS Priority Mail. Brass ring between handle and walking stick is not fix you can remove easily after removing the handle. Material: Brass & Wood. Made by Indian rose wood. Look Photos For Actual Image Of Product. All Work is Hand Made. It really is beautiful work. 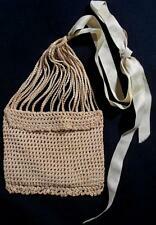 The purse “hangs” on two wooden dowels, and the light color of the string used gives it a fresh, clean look. Check out how well it’s designed with variety in how the strings were tied. First photo shows front. ( photo#1) Reverse side ( photo#2) has a bigger background of off white. It’s lined in hot pink satin( soil on edges). Last photo shows bottom edge. SIZE- 7 3/4” across bottom, 6 “ opening at top, 6 “ High. beautiful beaded evening bag made in Belgium circa 1960 for HUTZLERS (Baltimores most elegant store 1858-1986 ) Lovely pastels beading , aurora borealis rhinestone trim and clasp, gold plated chain, cream color satin lining, used once or maybe never used, looks mint. GORGEOUS! Brass ring between handle and walking stick is not fix you can remove easily after removing the handle. 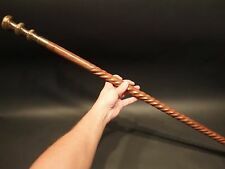 This is antiqued brass nautical walking stick. 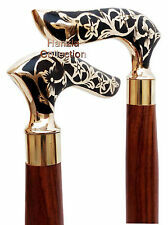 Use : Walk with stick it can able to handle the Weight Material: Solid brass & Wood. I'm not sure if this is a burl wood buckle or what kind it is, but it is smooth and has a rich color and beautiful pattern. Good condition, I dont see anything to point out. Anacortes Brass Works LTD HBC Barge Hand Made Brass Belt Buckle. Shipped with USPS First Class Package. Tattered Yellow Silk Maltese Lace Edwardian Dress - Display / Parts - Poor. Embroidered yellow silk with Maltese lace. Era: Edwardian. Condition: POOR - This is a beautiful dress but she is in bad shape. 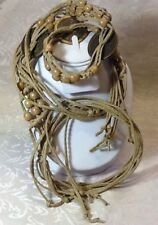 Vintage Stone, Leather, & Wood Handmade 1970s Western Biker Belt Buckle Lot. Shipped with USPS Priority Mail. 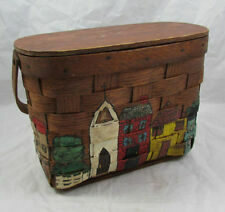 VINTAGE QUALITY WOODEN BARREL PURSE BAMBOO? EXTERIOR FOLK ART PURSE 60'S? THE BARREL IS 5" ACROSS. THE INSIDE IS CLEAN AND WELL MADE. I BELIEVE THE OUTSIDE HAS THIN REED OR BAMBOO PIECES. I TRIED TO FIND ANOTHER ONE LIKE THIS AND COULD NOT. IF YOU HAVE INFORMATION OR HAVE SEEN ONE LIKE THIS I WOULD LOVE TO KNOW HOW OLD IT IS. 1950s Vintage Hawaiian multi colored straw purse with bright floral flowers. 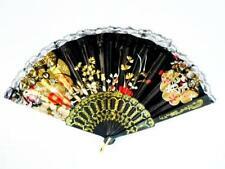 Handmade in Philippines by Cubana. White vinyl handles. See photos for measurements. All measurements are approximate. I am happy to provide combined shipping on multiple purchases. Please look at the other items I have for sale. I do not accept returns or do refunds so please look at photos for details and ask questions. Thanks for looking. Wooden shaft dismantles in to three section. Indian rose wood Handcrafted. Use : Walk with stick it can able to handle the weight. Material Used : Solid Brass and Solid Wood. Handmade Product sold not as an antique. Hover mouse over smaller thumbnails to change larger picture above them. Once you get the desired small image showing in the larger window above the thumbnails, move your mouse over the larger picture. Pretty Valenciennes lace bodice with a deep frill coming from the shoulder. Elbow length sleeves, semi full skirt with Valenciennes Lace inserts. Hooks and eyes at the back for closure. Condition is very good, several small pinholes in the net and lace, several small repairs in the skirt, see photos for details. HARD TO FIND. LIGHTWEIGHT, HAND TOOLED, RICH BROWN SHADING. HORSE WITH FLORAL DETAIL. few marks interior. Sleeve not including shoulder Pit to pit Heel to toe. Handmade Upcycled Recycled Denim Jeans Purse Tote Shoulder Bag. Beautiful recycled denim jeans purse decorated with glittery applique and hand painted butterflies. Not lined. Usable front and back pockets. Handmade, never used as purse. 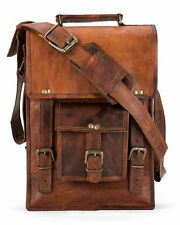 Approximate size is 9"x13" bag with a 26" shoulder strap. Inside Fabric:- Real Brown Suede Lining. Outer Pocket:- None. Color:- BROWN. Vintage COPPER-on-TIN "LUNCH PAIL SHAPE" metal PURSE ~ Handbag UNUSUAL !! This "purse" is shaped like a classic "lunch Pail" and looks to be copper-on-tin. But it's a neat one-of-a-kind piece in great shape. This is a neat piece, you will probably not find another like it. Antique VTG Flapper Bag PURSE Steel Cut Beaded. Antique Flapper Bag, Antique Flapper Purse, Micro beaded Purse, Drawstring Bag Purse. Of Note: Very Good / Excellent Antique condition. This flapper. Drawstring Black Silk Crepe Orange Lining / Sold As-is. Jorelle White Beaded Bag Clutch Handbag handmade in Belgium - vintage. Shipped with USPS Priority Mail. Please look closely at pics there are a couple spots in clutch. Apart from a few pin holes (they look to be literal pin holes - see photos) and a few minor discoloration areas, the dress and fabric have held up amazingly well. Hip: up to 42". Shoulder Seam to Natural Waist: 15.5″. 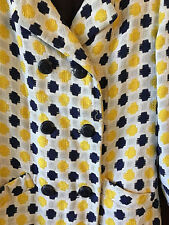 Thank you for shopping with April's Vintage Mercantile! I strive to provide the best experience buying high quality vintage merchandise. 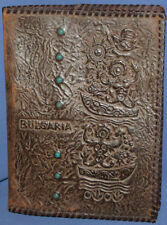 Description: 1960's Vintage vacation souvenir from the Bahamas. Funky straw tote with black lining. Hand woven with straw flowers and Nassau spelled out on the bag. Bag is 9.5" tall x 11" wide. Cute! Condition: Bag is in great shape with the exception of one of the handles is partially broken (pictured). Vtg 60's Sheer Layer Floral Maxi Dress. Beige sheer layer with blue / pink / purple flowers over a bubblegum pink liner. Slit: none. Arms are long sleeve and sheer elastic cuffs. Condition: Good used condition. VINTAGE 50s-60s Elegant Evening Mermaid Gown Handmade Blue Satin Floral Small ? • Neckline - Frontside, Very Subtle Sweetheart Look. Backside, V-Shape. • Hip Guesstimate Area Across - 17½"-18". • Cap Sleeves 4½" Long With Shoulder Top Overlap. Photo colors may vary from actual item.